Russian stocks are likely to begin September by posting gains, amid renewed hopes for a new round of stimulus in the US and climbing oil prices. 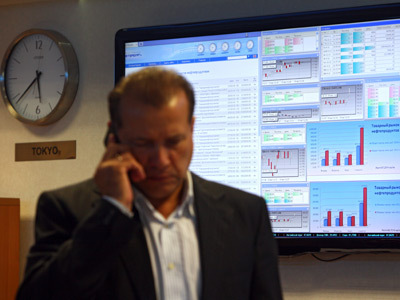 ­Russian stocks traded mixed Friday due to uncertainty in the global economic landscape. The MICEX lost 0.5% and the RTS added 0.4%, boosted by commodities. European stocks closed on a positive note in August after Federal Reserve Chairman Ben Bernanke hinted at another round of quantitative easing in the US, though he did not reveal a specific timeframe. The Stoxx Europe 600 added 0.5%, supported by banking shares. In Germany, the DAX 30 advanced 1.1% and France’s CAC 40 gained 1%. US stocks also posted gains on Friday after Bernanke’s announcement of probable future monetary stimulus. The Dow Jones added 0.7%, while the S&P 500 inched up 0.3% and the Nasdaq gained 0.6%. 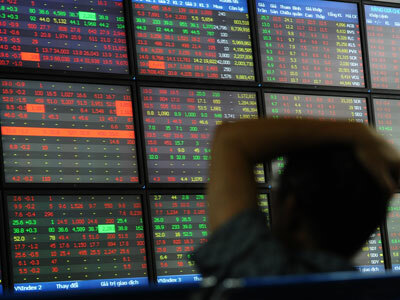 Asia’s major stocks traded slightly higher on Monday, as investors digested mixed earnings reports from Japan and weak manufacturing data from China. Japan’s Nikkei added less than 0.1%, while South Korea’s Kospi fell 0.1% and Australia’s S&P/ASX 200 rose 0.2%. In China, Hong Kong’s Hang Seng added 0.5%, while the Shanghai Composite climbed 0.8% after data released Saturday indicated an August contraction in China’s manufacturing sector.